This our eighth time featuring Ben Nelson at Another Red Letter Day. This teaching, inspired by the ministry of Jack Hayford, is a scripture medley like no other I’ve read before. Click the title below to read at source. Can you understand why heaven’s worship gets real! When we all see the Lamb present His blood to the Father, and realize this is the moment of atonement—well—it’s going to get Pentecostal. I get chills thinking about it. HCSB.Rev.1.12 I turned to see whose voice it was that spoke to me. When I turned I saw seven gold lampstands, 13 and among the lampstands was One like the Son of Man, dressed in a long robe and with a gold sash wrapped around His chest. 14 His head and hair were white like wool—white as snow—and His eyes like a fiery flame. 15 His feet were like fine bronze as it is fired in a furnace, and His voice like the sound of cascading waters. 16 He had seven stars in His right hand; a sharp double-edged sword came from His mouth, and His face was shining like the sun at midday. We’re paying a return visit to Rick Morgan, who blogs in the UK at Digging The Word. Click the title below to read at source. The apostle John was a close friend of Jesus, he was in the inner circle of the disciples, he is the man that took care of Jesus’ mother for fifteen years after Jesus’ death and he was an early leader in the church. John’s books are very significant part of the Bible, he gives us more of the teachings of Jesus than any other gospel writer, he also wrote the most unique book of the Bible from the vision that he experienced while he was exiled to Patmos. John 20:31 But these are written so that you may continue to believe that Jesus is the Messiah, the Son of God, and that by believing in him you will have life by the power of his name. John wrote his first book out of a desire to help you believe. It is easy to find something to believe but there is only one belief that is going to get you to heaven. So what are we supposed to believe? Eternal life is only available by belief in Jesus and his work on the cross as a substitute for the punishment that I deserved. John’s next book was written to help you be sure of what you believe. The same man that was unclear and lacked faith in who Jesus was wants to help you with your belief. What you believe is so important to John because just like every other Jew, John held onto false beliefs all of his life, his beliefs didn’t get straightened out until after Jesus came back from the grave. Nobody understood that Jesus first coming wasn’t going to be his last. Revelation 22:20 He who is the faithful witness to all these things says, “Yes, I am coming soon!” Amen! Come, Lord Jesus! The first coming of Jesus was to give us eternal life and when he returns he will come to give us our eternal reward. Unlike the first time, when he returns again it will be too late to clear up any false beliefs, it is extremely important that you believe and that you are sure about it. On my other blog, Thinking Out Loud, I get a lot of traffic each Christmas for a 2010 item I wrote concerning whether or not audiences should continue to stand for the Hallelujah Chorus in G. F. Handel’s Messiah. There are currently 6-dozen comments reflecting different sides to the debate. The song itself is actually rather sparse lyrically, but in those few words there is great, great power. 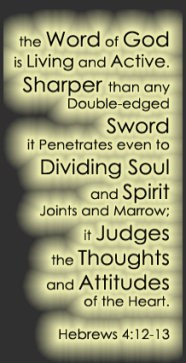 This occurs in Revelation at the end of what we call The Seven Trumpet Judgements. We all know the feeling summed up by the expression “the future is now.” It may be graduation, marriage, the birth of a first child or a long-awaited trip to some faraway place. Someday it will be retirement, and one day it will be the hour of death. It is something we knew was coming, something anticipated and imagined for years, with excitement and joy or with dread. Sooner or later a time comes when it is upon us, and we experience either realization or disappointment or relief, depending on what our expectations were and how closely their fulfillment matched them. John’s expectations about the seventh trumpet must have been a strange mixture of excitement and dread, not unlike those of any Christian facing simultaneously the mystery of death and the hope of heaven. On the one hand John had been warned of three terrible “woes” to come on the earth, but had only witnessed two of them (8:13; 9:12). One remained, possibly the worst of all, and it was to come “soon” (11:14). Yet he had also been told that “when the seventh angel is about to sound his trumpet, the mystery of God will be accomplished, just as he announced to his servants the prophets” (10:7). Now that he hears the trumpet, it sounds more like the fulfillment of a promise than an oracle of woe. Loud voices in heaven announce that the kingdom of the world has become the kingdom of our Lord and of his Christ, and he will reign for ever and ever (v. 15). Clearly the announcement introduces a major division in the book. At once the twenty-four elders in heaven, who have not been heard from as a group since the opening throne-room scene in chapters 4-5, fall on their faces in worship, just as they did twice in that opening scene (4:10; 5:8), offering thanks to God for what he has done and what he is about to do (vv. 16-18). 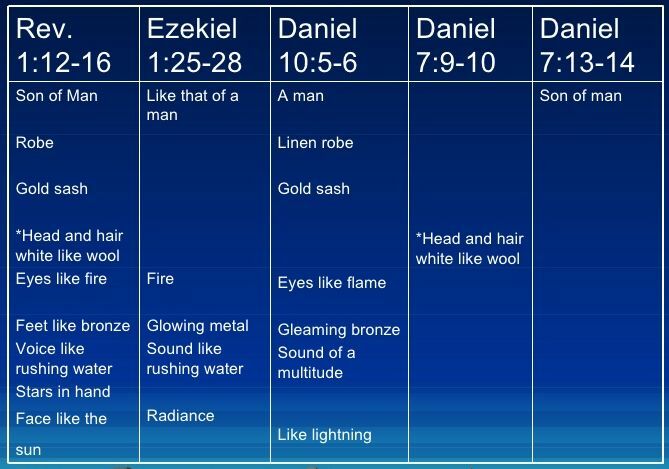 It appears that these verses form a kind of inclusion with chapters 4-5, framing the seven seals and seven trumpets and preparing the way for still more visions to follow. This was published just yesterday at the blog of Allan R. Bevere, who we featured here a year ago. The text was linked but I’ve reproduced it here as it uses the Oremus Bible Browser which allows you to omit verse numbers. To read this at the original site, click here. An angel appearing as a town crier calls for one who is worthy to break the seals and open the scroll. The summons has been put forth through all of creation and no one is found who is worthy to reveal the meaning of history. No one is able to read and ponder the scroll’s words. It appears as if the promise of Revelation 4:1, “Come up here, and I will show you what must take place after this,” will remain unfulfilled. Understandably, John breaks down in bitter weeping. Without the unrolling of the scroll, God’s plan for creation will be circumvented. The destiny of the world will no longer be assured. But the answer given to the question by the series of visions and their hymns [in the Book of Revelation] is not the standard answer. “The lamb that was slain is worthy to receive power!” John is here saying, not as an inscrutable paradox but as a meaningful affirmation, that the cross and not the sword, suffering and not brute power determines the meaning of history. The key to the obedience of God’s people is not their effectiveness, but their patience (13:10). The triumph of the right is assured not by the might that comes to the aid of the right, which is of course the justification of the use of violence and other kinds of power in every human conflict; the triumph of the right, although it is assured, is sure because of the power of the resurrection and not because of any calculation of causes and effects, nor because of the inherently greater strength of the good guys. The relationship between the obedience of God’s people and the triumph of God’s cause is not a relationship of cause and effect but one of cross and resurrection (The Politics of Jesus). Any attempt to envisage a literal seven-horned, seven-eyed lamb will discover that the meaning of the vision is missed. 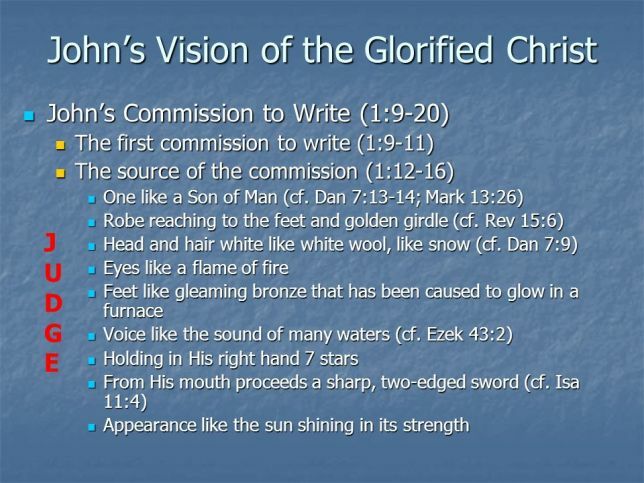 John’s vision is symbolic in character. This scene in the throne room of heaven is not descriptive, but symbolic of the decrees and action of God in human history, in particular as it centers on the cross and resurrection of Jesus Christ. Some understand this of persons; there were some few who had retained their integrity, but they were in danger of declining with the rest. It is a difficult thing to keep up to the life and power of godliness ourselves, when we see a universal deadness and declension prevailing round about us. Or it may be understood of practices, as it follows: I have not found thy works perfect before God, not filled up; there is something wanting in them; there is the shell, but not the kernel; there is the carcase, but not the soul—the shadow, but not the substance. The inward thing is wanting, thy works are hollow and empty; prayers are not filled up with holy desires, alms-deeds not filled up with true charity, sabbaths not filled up with suitable devotion of soul to God; there are not inward affections suitable to outward acts and expressions. Now when the spirit is wanting the form cannot long subsist. Overcomer –one who patiently waits for Jesus Christ’s return, hates evil, tests and tries false teachers and false apostles, labors for the true Jesus Christ with patience and does not faint under pressure (Revelation 2:2-3); one who does not fear suffering and is faithful unto death (Revelation 2:10); one who holds fast to the name of Jesus Christ and does not deny the true faith of Jesus Christ (Revelation 2:13); one who holds fast, is not seduced by false teachers and false teachings and keeps the works of Jesus Christ unto the end (Revelation 2:20-26); one who is watchful and strengthens the things that remain, remembers what he has received, holds fast, and is always ready to repent (Revelation 3:2-3); one who keeps the Word of Jesus Christ, does not deny His true name, and holds fast to what he has (Revelation 3:8-11); one who is willing to be rebuked and chastened (Revelation 3:19). In short, one who is faithful to Jesus Christ and all that He teaches in His true Holy Word. Succumber — one who does not wait patiently for Jesus Christ’s return, does not hate evil, does not test and try false teachers and false apostles, does not labor for the true Jesus Christ with patience and does faint under pressure (Revelation 2:2-3); one who does fear suffering and is not faithful unto death (Revelation 2:10); one who does not hold fast to the name of Jesus Christ and does deny the true faith of Jesus Christ (Revelation 2:13); one who does not hold fast, is seduced by false teachers and false teachings and does not keep the works of Jesus Christ unto the end (Revelation 2:20-26); one who is not watchful and does not strengthen the things that remain, does not remember what he has received, does not hold fast, and is not always ready to repent (Revelation 3:2-3); one who does not keep the Word of Jesus Christ, does deny His true name, and does not hold fast to what he has (Revelation 3:8-11); one who is not willing to be rebuked and chastened (Revelation 3:19). In short, one who is not faithful to Jesus Christ and all that He teaches in His true Holy Word. And he says the same to those today who are tolerating evil, who have gone from a little compromising to full toleration rationalization of it. It’s time to wake up. Sardis was captured two different times while the watchmen failed to watch. The city was taken by Cyrus II (547 BC) and Antiochus III (214 BC) by sneak attack. This church was asleep. They had missed opportunities. Spiritually, the church was in a coma (cf. ESV Study Bible) and close to dying, but there was still hope. Jesus is able to wake the dead. Jesus gives life to the church. No man-made program can resurrect the dead. The church was given life on Pentecost. The life of the church comes from the power of the Holy Spirit. When the believer (or church) becomes dull, lifeless and sinful, the Holy Spirit is grieved and the fire is dimmed. Romans 13:11-12 Besides this you know the time, that the hour has come for you to wake from sleep. For salvation is nearer to us now than when we first believed. 12 The night is far gone; the day is at hand. So then let us cast off the works of darkness and put on the armor of light. Wake Up! Sometimes, we can fall into a lull or go through the motions and not realize that we are sleepwalking through our best years. Every morning you ought to wake up earlier so you can spend time with God and get to working on your future. You still have time to do it but you have to wake up now. Strengthen what remains and is about to die. There’s something you were doing that was great but it’s in danger of dying because you’ve neglected it. You still have time to get it back because it’s not dead you just have to strengthen what remains. Jesus has not found your deeds complete. Have you done everything that God put in your heart and mind to do? If not, then you are not finished. You can’t move on to the next level until you’ve finished everything on the previous level. Finish what God told you to do so he can take you to the next level this … year. On the ‘wake up’ theme today, we’re including Keith’s Green video, Asleep in the Light. Not a week goes by when someone doesn’t tell me they’ve heard a sermon, or are doing a study, or want to do some reading on the letters to the churches recorded in Revelation. I think this particular passage simply strikes so close to home that it reads like a very contemporary message. Caleb Jennings Breakley wrote about the five problem churches in a post entitled: 5 Kinds of Messed Up Churches—Should We Stay? In the last book of the Bible, Revelation, Jesus speaks to seven different churches (5 messed up), acknowledging them for what is good, rebuking them for what is not (except for the churches in Smyma and Philadelphia), and lovingly calling them to turn from their wrongs. Some people believe these churches are representative of seven church ages. I’m of the peeps who believe these were seven actual churches in Asia minor. Either way, we can learn from them today, especially the 5 rebuked ones. As you read, consider how these churches mirror churches of our age. To the church in Laodicea, He acknowledges nothing, then rebukes them for being neither hot nor cold in their faith, which He considers wretched, pitiful, poor, blind and naked (this one might be the most scary). Churches are good in some areas, messed up in others, and God is calling us to overcome the messed up stuff and to run into His arms. The question is: should we stay in messed up Bodies of Christ? Should we be the hands and feet for God in the 5 messed up churches? To what extent? Is there gray area? Is Heaven and The New Jerusalem One and the Same? 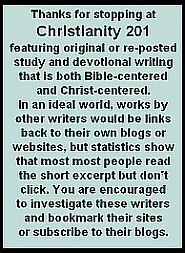 While the blog The Pursuit of the Deeper Truth and Proper Christian Experience has a rather long title, and a bias toward the writings of Witness Lee and Watchman Nee, here at Christianity 201, we’re an equal opportunity blog with a bias toward anything that gets us thinking and studying. In today’s spiritual climate, there is much interest in heaven and the afterlife, and it’s so easy to hear a phrase like “New Jerusalem” and rush to the conclusion “New Jerusalem = Heaven.” Thomas Marvin sees each differently and clarifies that with this post originally titled Heaven or the New Jerusalem — Is There a Difference? I may have gotten a few words wrong, but the gist of the song is pretty clear. That is, that we’re going to heaven—“to that bright land where we’ll never grow old” and “walk those streets that are paved with gold.” However, in aspiring to heaven, the writer was, in referring to golden streets, addressing an attribute of the holy city, New Jerusalem. In the many years since my childhood days of singing that song, I’ve never once read in the Bible where it says that heaven has golden streets. However, Revelation 21:21, in speaking of the New Jerusalem, does say “the street of the city was pure gold, like transparent glass.” You can see from this illustration, the thought of heaven having golden streets, is just one example of the confusion of heaven and the New Jerusalem. Well, someone may say, “Aren’t they one and the same—heaven and the New Jerusalem? I say heaven. You say New Jerusalem. It’s all about the same.” However, the opening verse I referenced points to a distinction. In Revelation 21:2 it says that the holy city, New Jerusalem is coming down out of heaven. This verse directly indicates a difference, for the New Jerusalem to come down out of heaven indicates that the two expressions are not synonymous. Then what is the distinction? 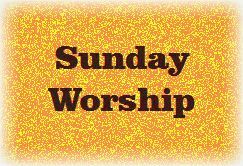 Heaven, God’s dwelling (1 Kings 8:50), the place of His throne (Isa. 66:1), and the place where Christ ascended physically after His resurrection (Acts 1:9-11) is no doubt a physical place. However, the New Jerusalem is not a physical place “to which we go” but the greatest sign in the entire Bible (see Rev. 1:1) signifying, God’s spiritual, eternal building of divinity and humanity. It is the eternal, consummation of all God’s work in humanity throughout the ages, a mingling of God and man to be the mutual dwelling place for both God and all His redeemed people for eternity. The view you have between the heaven and the New Jerusalem can change your entire Christian life. If your view is that a Christian’s eternal destiny is simply to “go to heaven” when we die, you may feel that as long as you are born again or regenerated, you are basically waiting to go to heaven. In addition, one with this concept might consider their service to God in this age ends with helping as many perishing people as possible to also go to heaven when they die. This heaven or hell gospel has unfortunately caused many a well-intended Christian to miss out on the deeper meaning of their Christian life on earth today. This kind of view of a Christian’s eternal destiny is “locational,” basically a change of place, from earth to heaven, instead of hell. From Revelation 21:2, however, we can see that the New Jerusalem is “prepared as a bride adorned for her husband.” From verses 9-10, we can see that the bride, the wife of Lamb is the holy city, Jerusalem, coming down out of heaven from God. I’d like to point out again that this city is “out of heaven,” so it is not heaven. Second, I’d like to point out that this city is married to the Lamb, Christ (John 1:29). Such a bride is adorned for her husband (v. 2). This implies that a process of getting ready is necessary. A bride must match her husband, to be his counterpart. Likewise, we must be “adorned” to marry Christ, to be His corporate counterpart, His wife. Anyone you marry must be “bone of your bone and flesh of your flesh, even as Eve was to Adam (Gen. 2:23). To be bone of Christ’s bones, and flesh of His flesh, we must be the same as Christ in life and nature. We also must grow up in His life unto maturity (Eph 4:13, 15-16). Christ, would be humiliated to marry an immature bride. He would rather wait. Such has been the case for nearly 2,000 years of church history. Christ is waiting for His bride to be prepared. Where is the bride for Christ to come back for? So to make my point, the New Jerusalem is not a “locational” matter—a change in location, but an “intrinsic” or “essential” matter—a change of essence or constitution. We’re not just going to the New Jerusalem, we’re becoming the New Jerusalem. To be in the New Jerusalem, one must first become the New Jerusalem. Through the process of God’s complete salvation—the regeneration of our spirit (John 3:6), the transformation of our soul (Rom. 12:2), and the glorification of our body (Rom. 8:30), we must become the same as Christ in life and nature but not in His Godhead, being conformed to the image of Christ (Rom. 8:29). 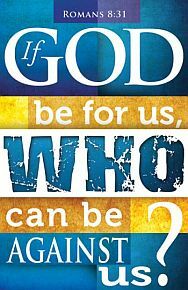 Such a change in essence requires that once we are saved, we cooperate with God’s central work, that is to allow God to work Himself into our entire being (1 Thes. 5:23; Eph. 3:17). Only in this way can we become the proper constituents for the building of Christ’s Body today and of the New Jerusalem for eternity. Only in such a way can we be Christ’s bride, adorned for our dear Husband. How is this Bride-city being prepared today? In between the type of Adam and Eve, the first couple, in Genesis 2:18-23 and the fulfillment of this type, in the eternal couple in Revelation 21-22, we have the process of preparation in Ephesians 5:25-32. Here we can see the church, for whom Christ died in the past (v. 25), being sanctified in the present (v. 26), and presented to Christ, as His glorious bride in the future (v. 27). If we see that our eternal destiny is to become Christ’s bride, the holy city, the New Jerusalem, we will not foolishly waste our precious time today. Rather we will redeem every day to pursue Christ (Phil. 3:12), to gain Him and be found in Him (vv. 8-9) and to be sanctified by Christ, by enjoying the daily washing of the water in His word (v. 26). 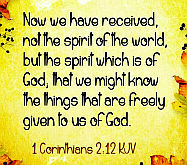 In this way we will be daily renewed (2 Cor. 4:16) to become as “new” as the New Jerusalem. Such a life of redeeming the time, by understanding what the will of the Lord is (Eph 5:15-18), will bring us onward to God’s eternal goal and cause us to daily live a bride-preparing life, a life of preparing ourselves to become Christ’s bride, the New Jerusalem, for our eternal marriage. I believe, I’ve made my point, that is, that we need to be spiritually preparing today for our coming marriage to Christ. For those who still have some concerns about believers going to heaven, and how that fits with the New Jerusalem, Witness Lee does a better job than I can of addressing the matter in chapter 18 of his book, The Church as the Body of Christ. Seven letters to seven different churches that existed when John received the vision, right? Zoom out a little. There were a dozen or so well-established churches at the time. Maybe, as the pastor at the church we visited this morning suggested, the choice of “seven” means that these letters have application to the whole church. Zoom back in. Some people teach that the seven churches represent different ages of the larger church over different eras. Zoom in again. Churches like the seven so-described exist today. If you’ve been around you could put different names next to each letter. Zoom in more. Even within an individual church, there are often different sub-groups to whom these different letters might apply. Or maybe they represent different stages in the history of that local church over time. Zoom in tighter. These letters have application to each one of us. Maybe the message to the church at Laodicia is pertinent to you right now. Or maybe you’re at a Sardis or Ephesus point in your Christian life. Click the image for original source site.